Just before the green flag was scheduled to fall for the hour-long noon ROP and refresher course session rain drops began to fall, causing a short delay. 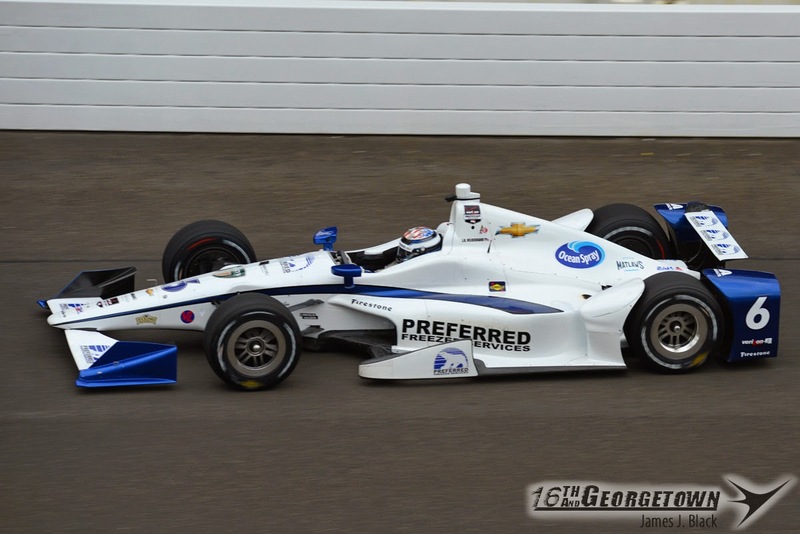 But the precipitation soon dissipated, allowing 5 drivers on track. JR Hildebrand started off the session in the No. 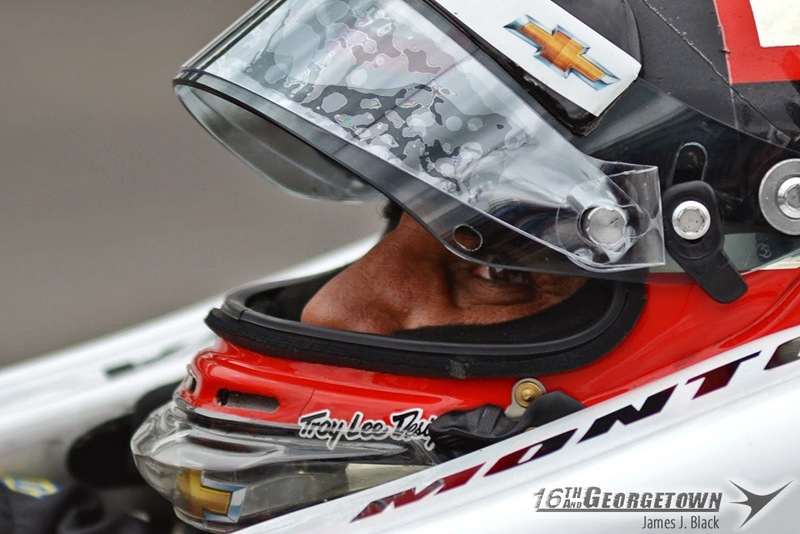 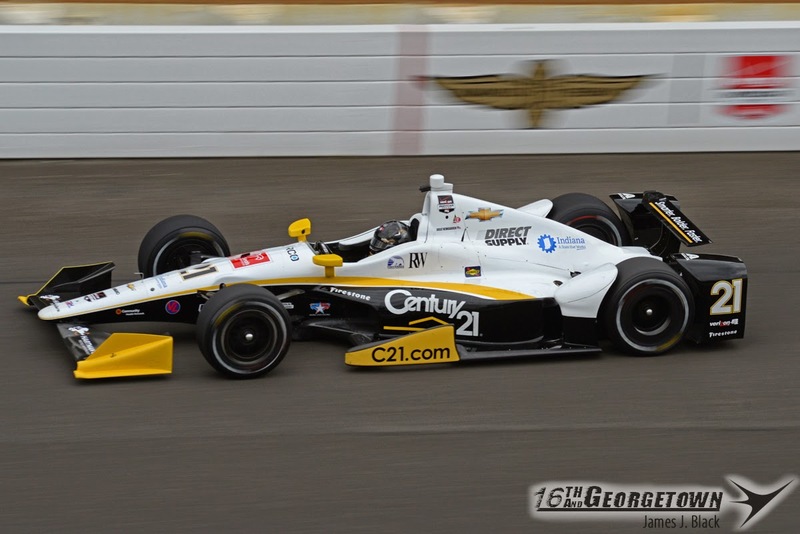 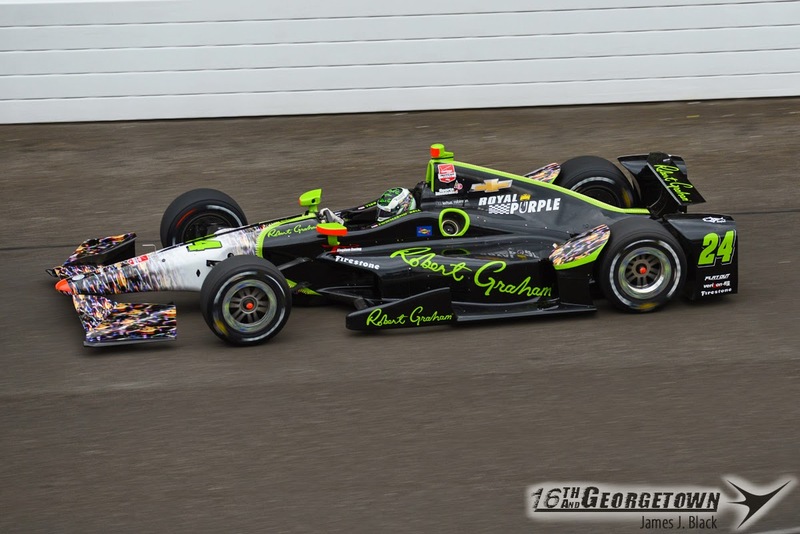 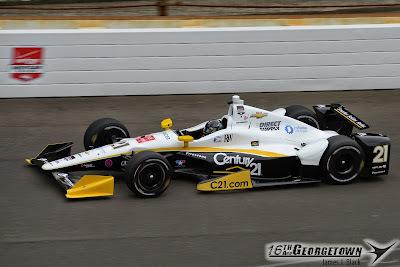 21 car of his teammate Josef Newgarden before sliding into his own No. 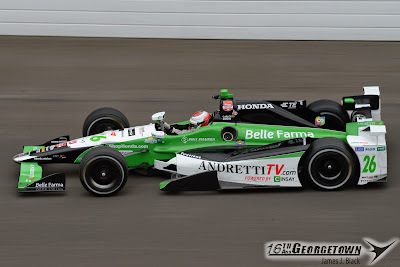 6 ride. 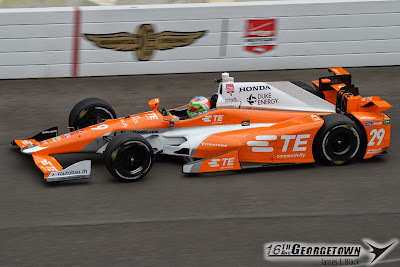 Townsend Bell, Sebastian Saavedra, Carlos Huertas and Stefano Coletti also turned laps. The most important laps of the early session came from Coletti, who missed Opening Day last Sunday while in Europe. 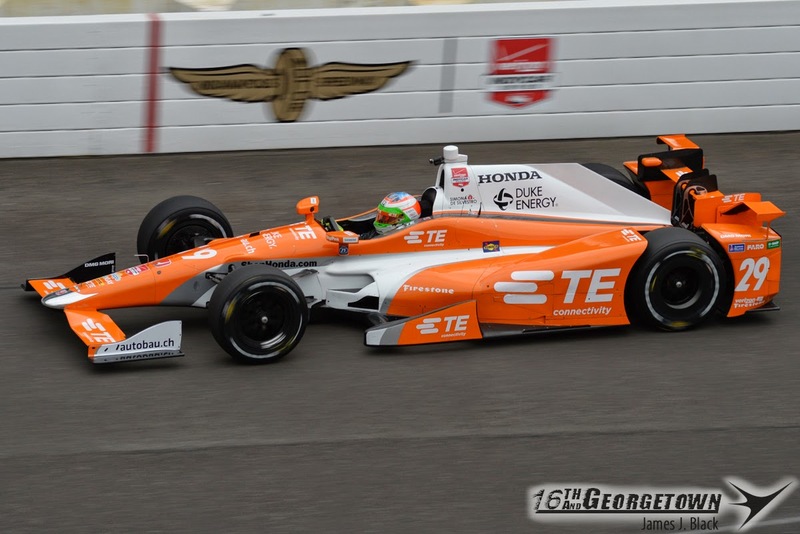 The KV Racing Technology driver passed Phase 1 of his Rookie Orientation Program easily. 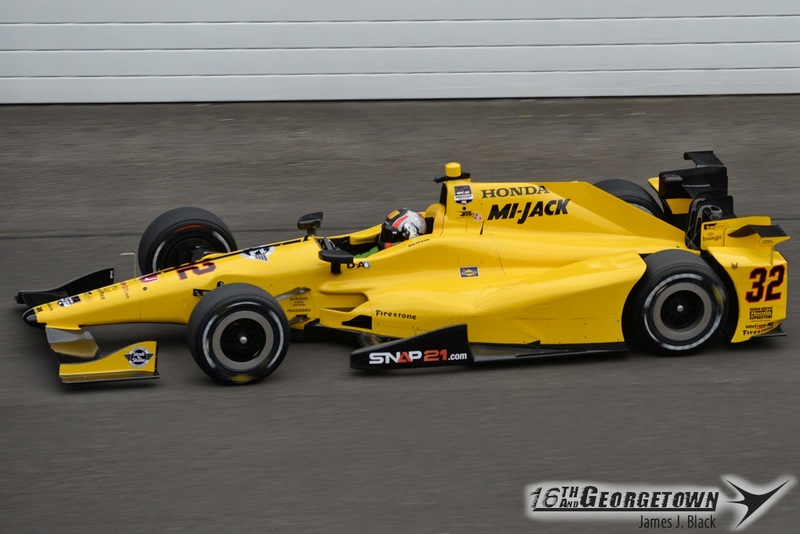 While in the second phase, the driver reported a vibration and asked to pit. 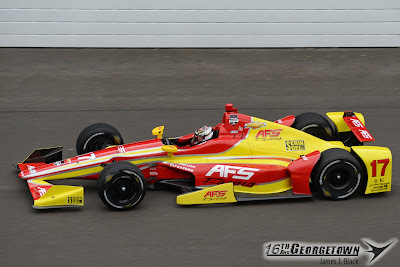 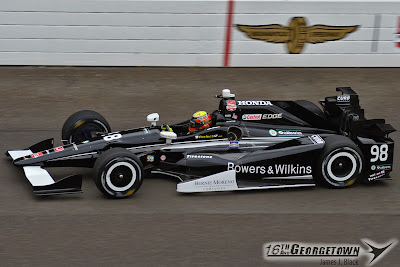 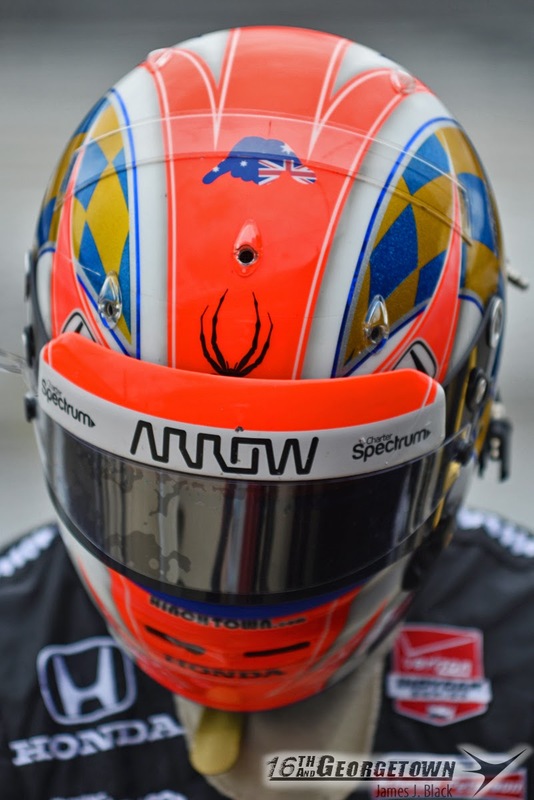 After a short while he returned to the track before being black flagged and called in because the left side Chevy aero kit pieces of his DW12 chassis were visibly flapping and vibrating. 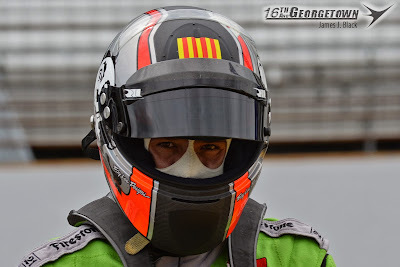 After officials made the call to extend the session due to the delayed start earlier, they extended it again after a short stop to rectify his issue, Coletti returned to the track and passed Phase 2, allowing the rookie to practice with the veterans. He later went on to pass the final phase in practice. 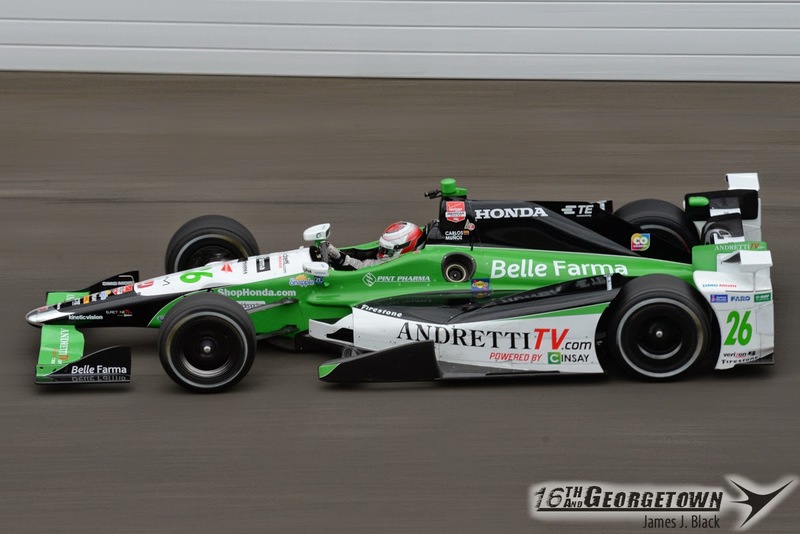 The day was incident free, with the exception of a no-contact spin on pit lane by Colletti. 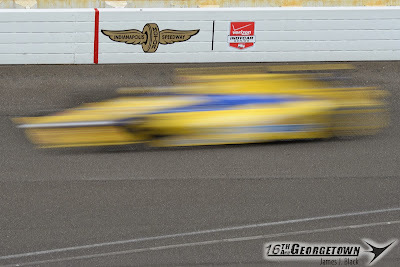 The spin came after leaving the pits. He was pulled back, re-fired and back underway. 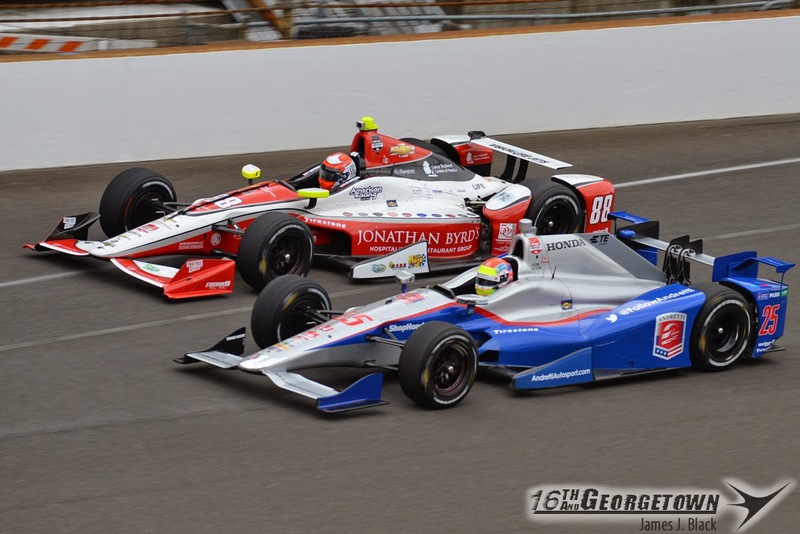 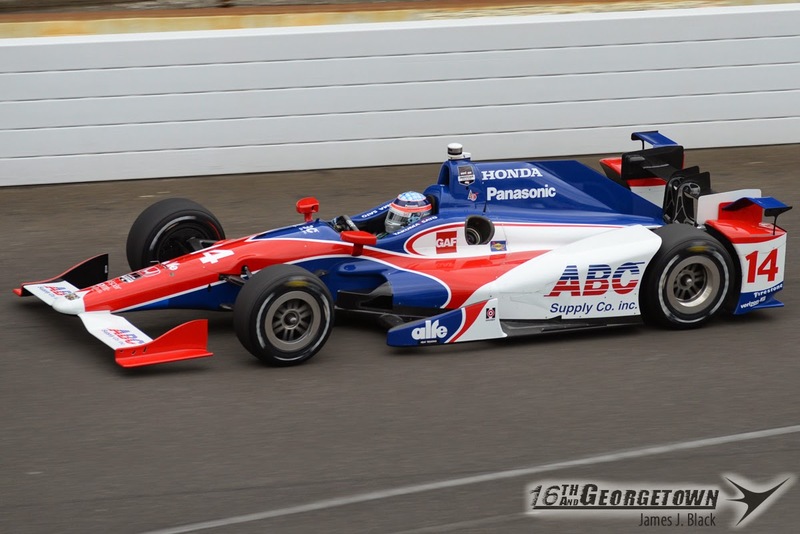 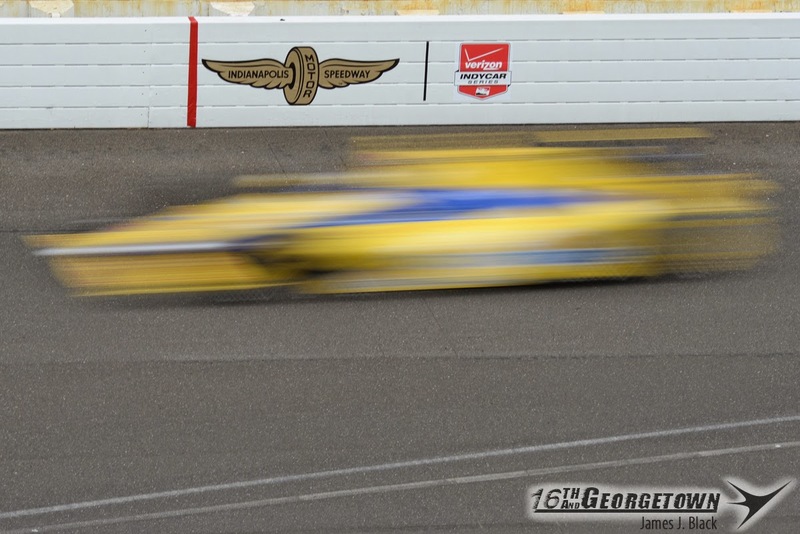 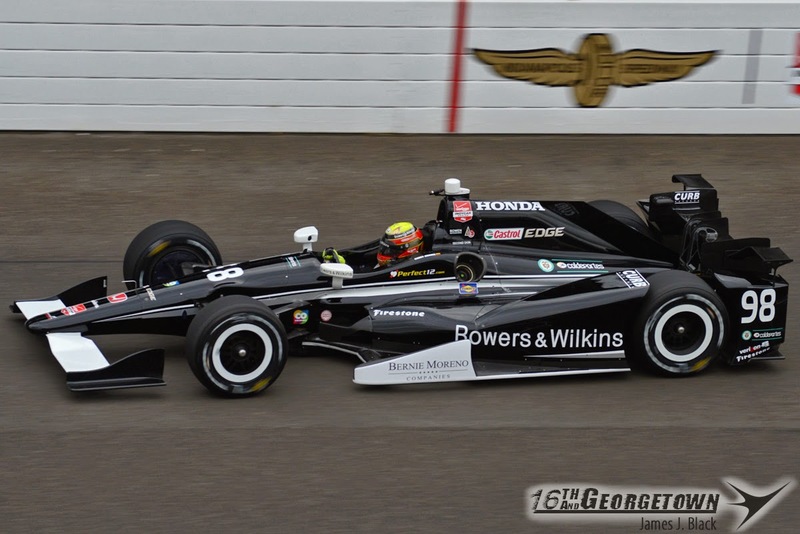 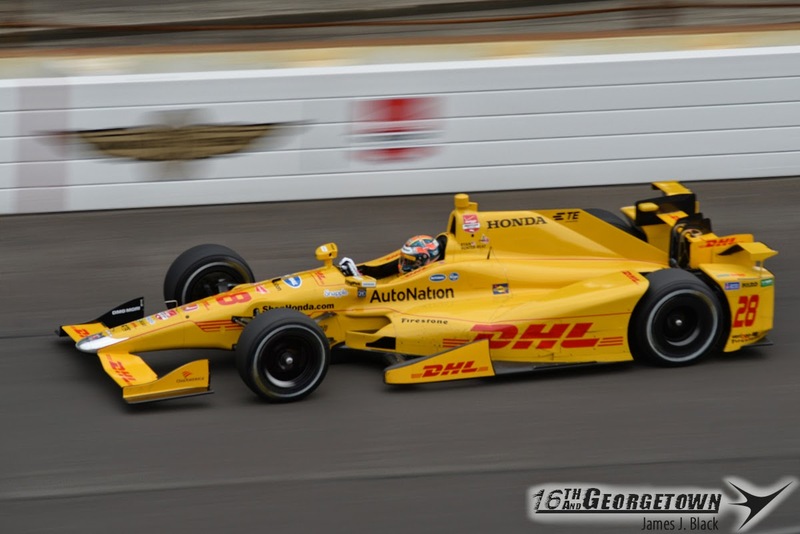 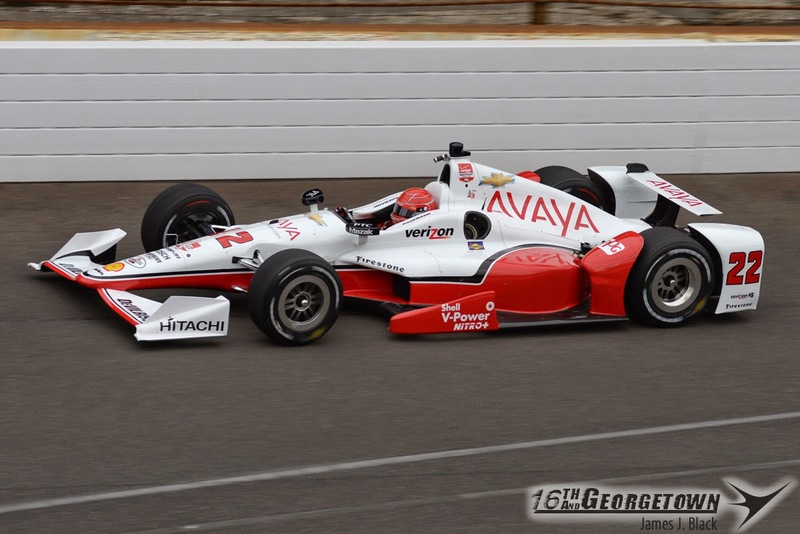 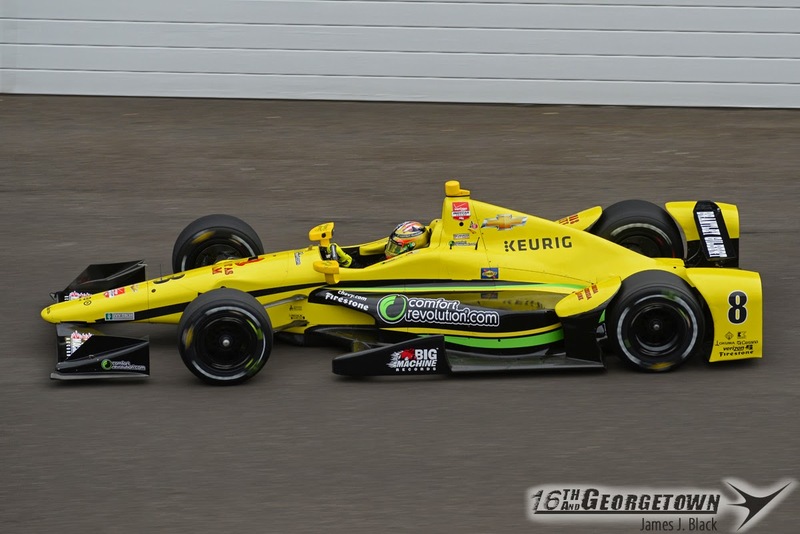 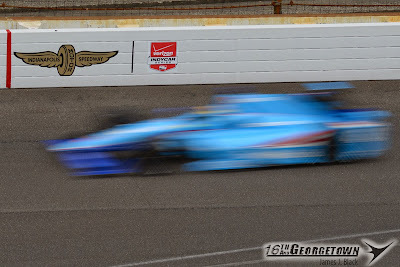 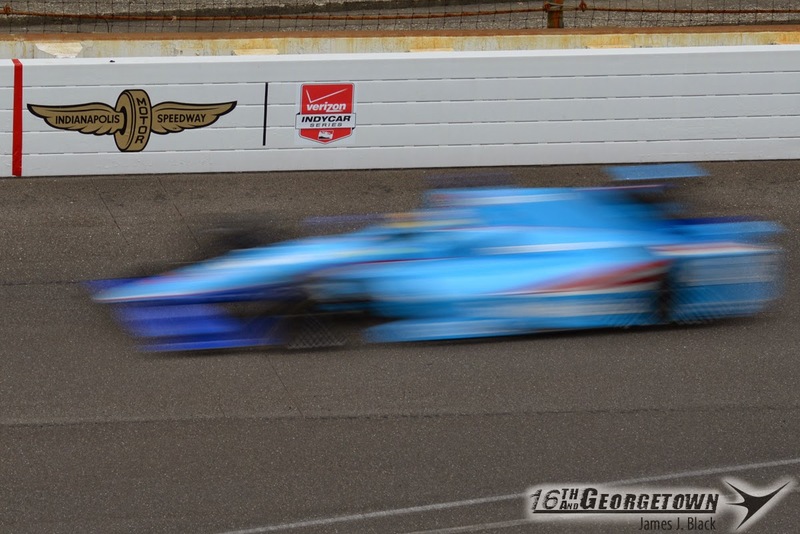 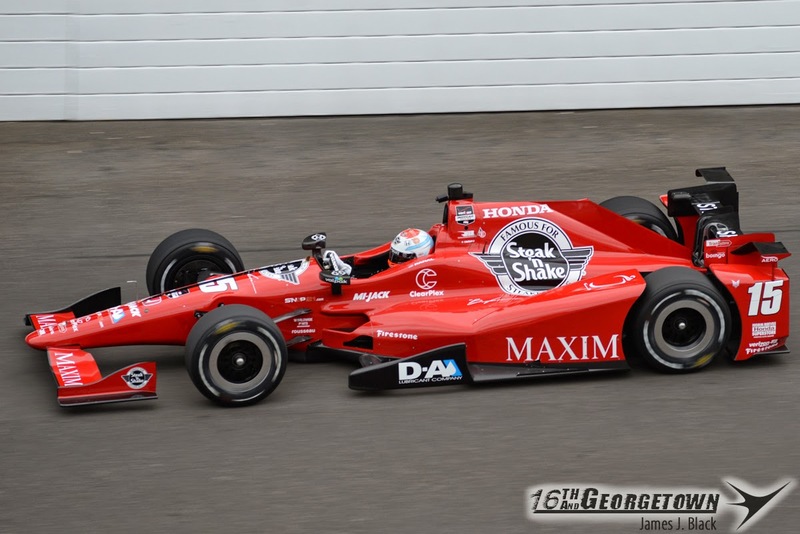 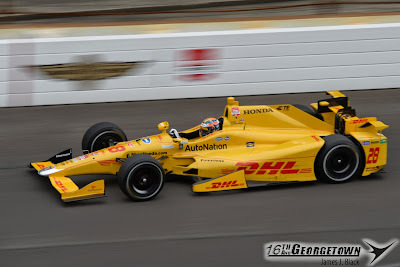 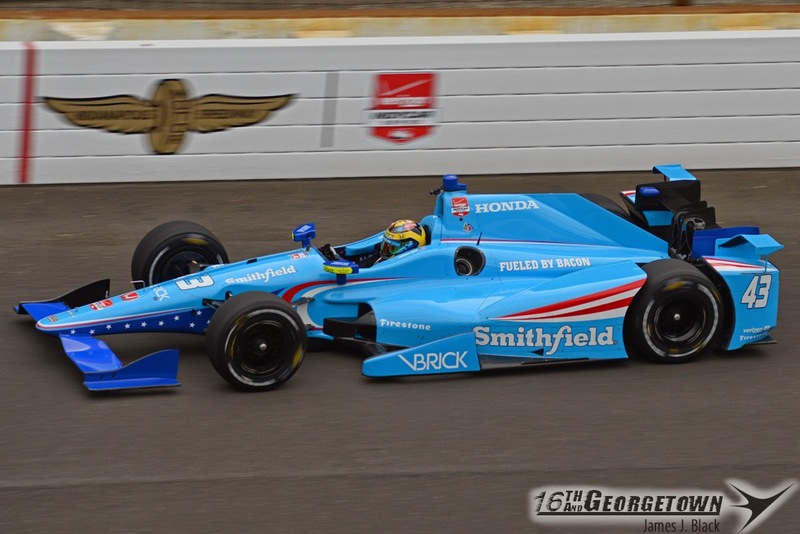 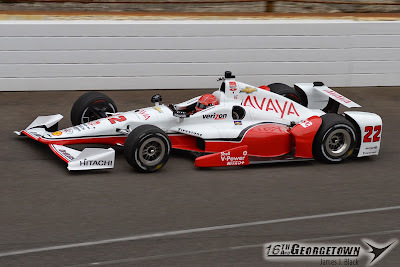 30 of the 34 cars on the Indianapolis 500 entry list turned laps today. 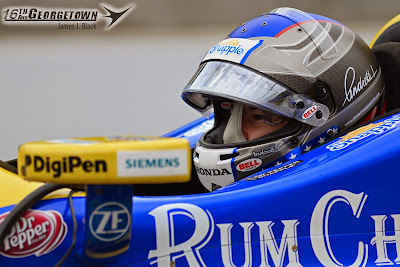 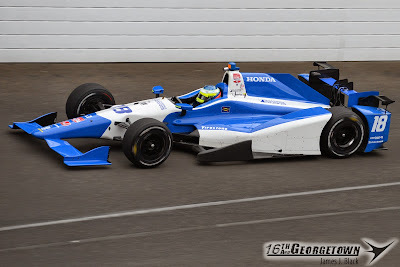 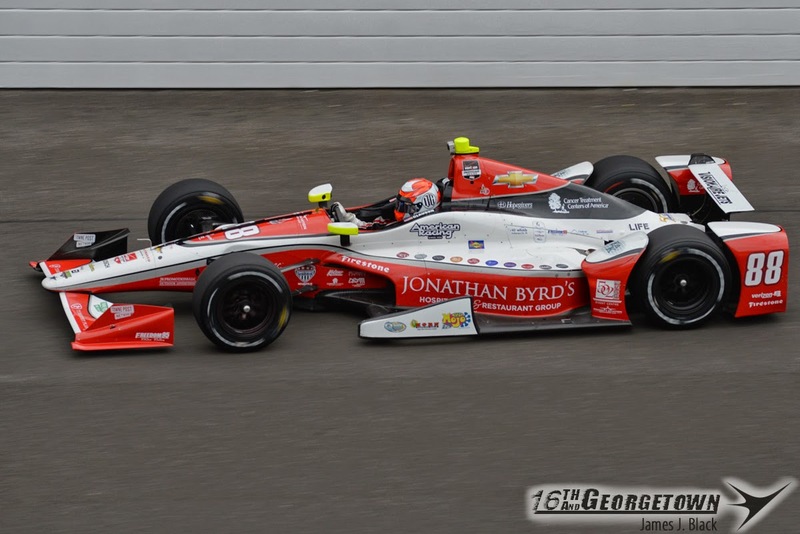 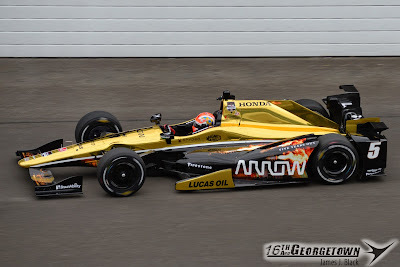 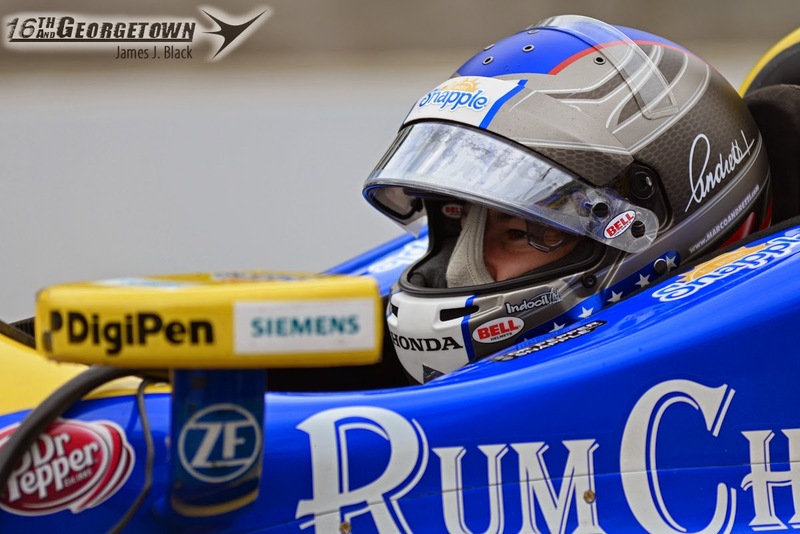 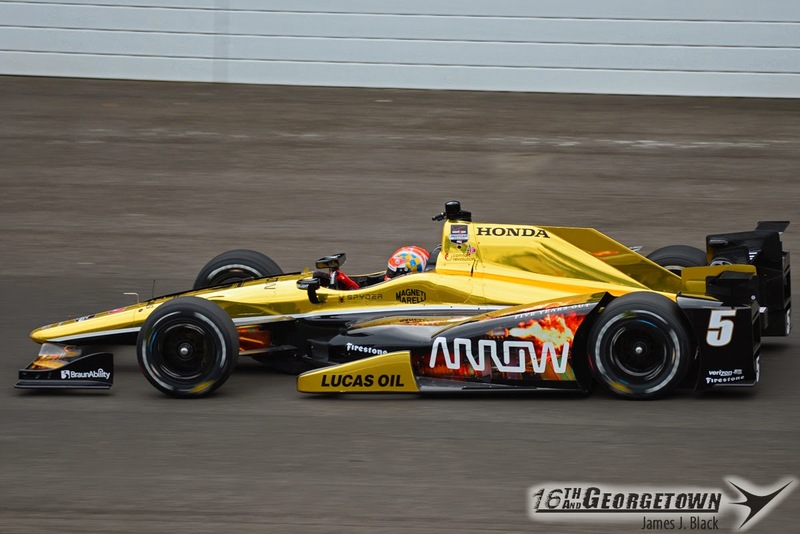 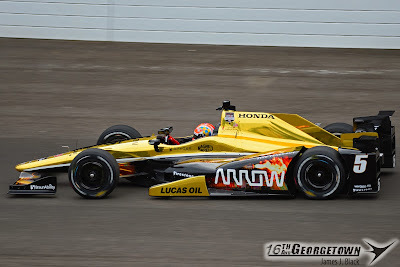 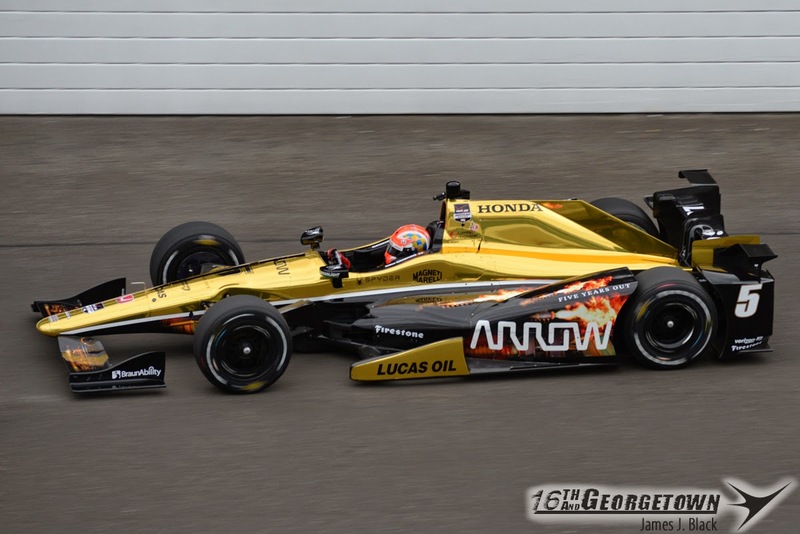 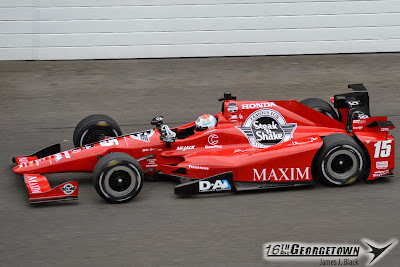 Jack Hawksworth, Alex Tagliani, Buddy Lazier and the 3rd TBA entry for Dale Coyne Racing were the only stagnant entries.